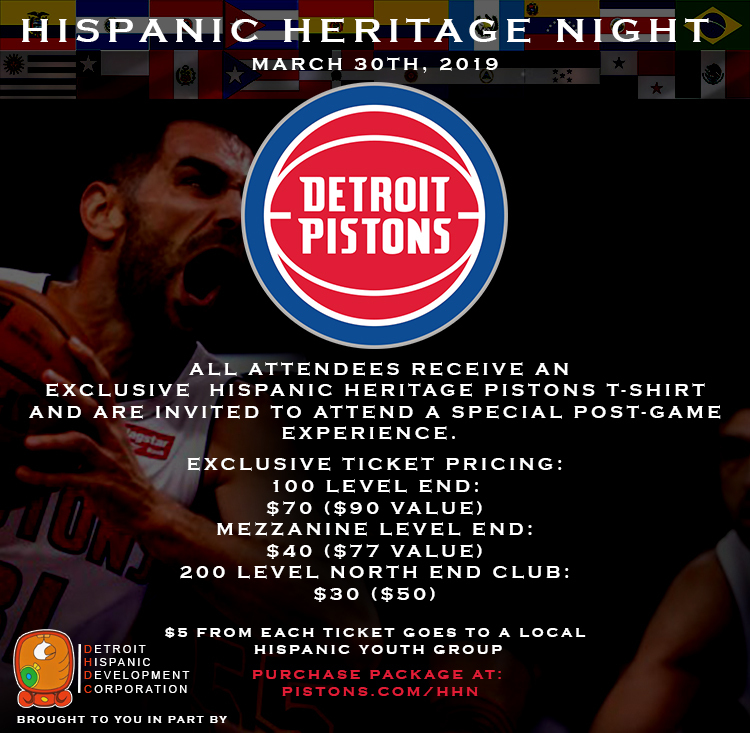 Also, $5 of each ticket sold goes to a local Hispanic Youth Group. You may purchase individual tickets as well atwww.Pistons.com/HHN. Hope you are able to support our efforts in giving opportunity to our youth! You may contact Juan Alfaro at jalfaro@dhdc1.org or at 313-967-4880 ext.119 with any inquiries you may have.